The 2016 line-up is a heady mix of left-field electronica, shambolic punk, intelligent pop and boundary-pushing hip-hop. I t’s the incredibly strong local contingent - already iconic or soon to be legendary Australian bands - many of whom have fresh new music dropping over the next couple of weeks - that we are particularly excited about. Visa pre-sale tickets on sale 9am Friday 25th September until 5pm Sunday 27th September or until tickets sell out. 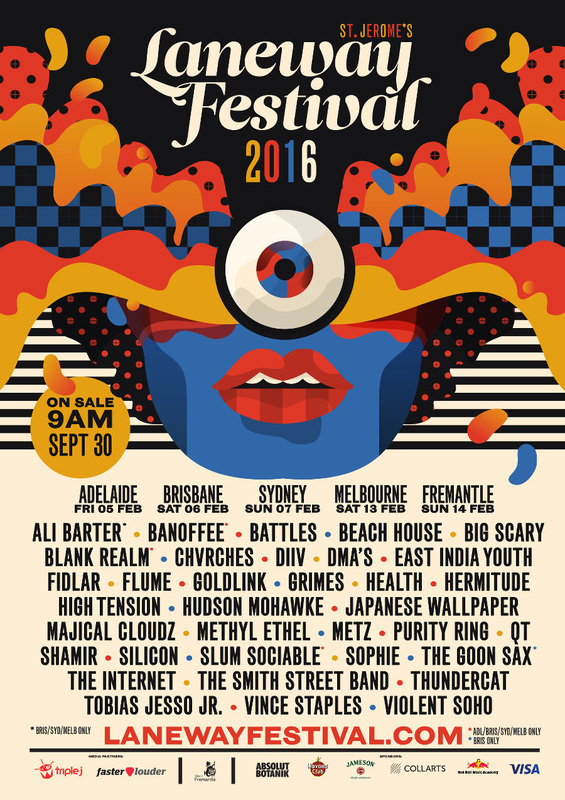 General public tickets on sale 9am Wednesday 30th September from Laneway.